Davey Lambert crashed in the RST Superbike race on Sunday and is in a critical condition. 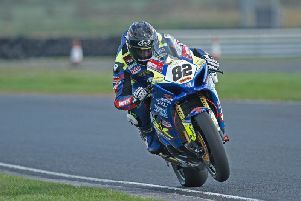 An English rider sustained critical injuries in a crash during the RST Superbike race on Sunday. Davey Lambert, based in Newcastle-upon-Tyne, came off at Greeba Castle.